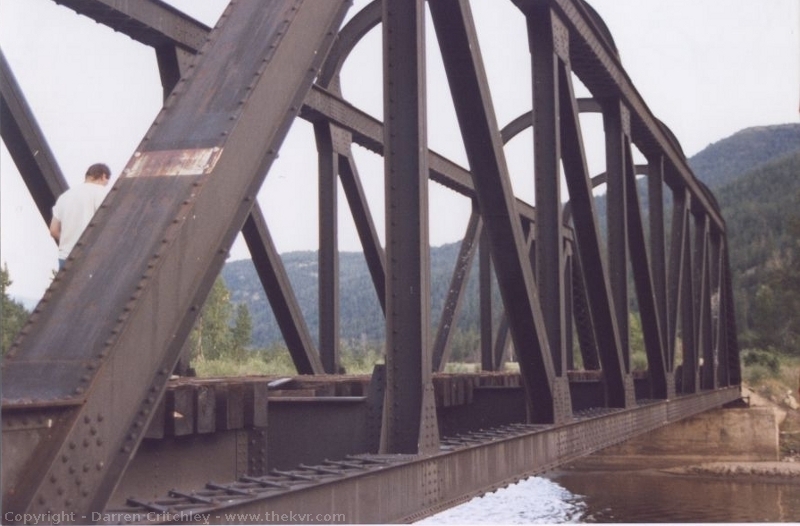 Dot is located between Spences Bridge and Merritt on the Nicola Subdivision of the Kettle Valley Railway. The station is long gone and this bride is not actually at Dot, but close to it. This is Nicola Bridge #5, it is a fine example of an arch connected pony truss. The archives give the bridge extra strength. This is the end of the line in this section for all traffic as it has been blocked off by the Nooaitch Indians. It is recommended that you request permission from the Nooaitch band office before going through this section. The ownership of the right of way in this section was reverted to the Nooaitch Indian Band.